Several times a week, on average, I get an email from someone I don’t know asking a favor. Most commonly, a person wants me to read something she has written: an essay or article, a story, even an entire book. Sometimes the writer wants me to visit his blog and make comments there. I am pretty regularly asked to blurb about-to-be-published books or in some other way to promote them (it’s often suggested that I assign them to my classes). High-school students write to solicit my opinion about this or that — well, usually it’s not “this or that,” it’s C. S. Lewis. People want reading recommendations on a range of subjects. I am very often asked, especially by my fellow Christians, about graduate school in English or the humanities more generally. Folks, I just can’t keep up with all these requests. I have classes to teach, I have writing commitments, I have work to do at my church, I have a family to care for — and often I get the same kinds of questions from people I know, usually former students, people to whom I think I have some legitimate obligations. There simply are not enough hours in the day for me to answer all these questions. I have tried for years to keep up, in part because I know that C. S. Lewis, that admirable fellow — who even in the days before email got ten times the requests I get — answered all his mail, even when it took him hours a day to do it. But I have to to wonder how he ever managed to get through all his correspondence, even with a brother willing to serve as secretary. 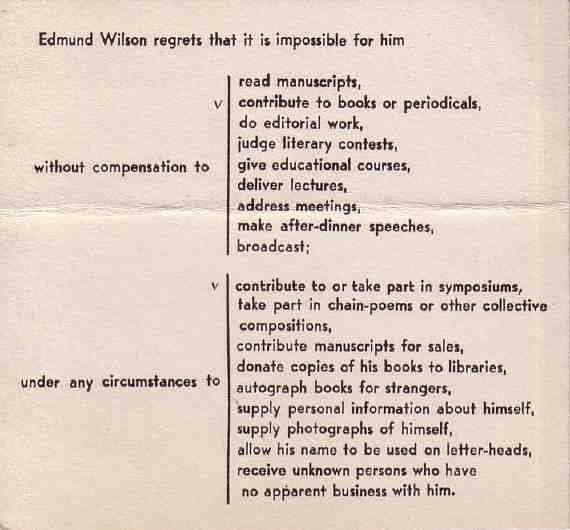 And I even wonder whether he was wise to devote as much time to answering letters as he did. But in any event, I have too often promised to read something that I ended up not being able to find the time to read, or I have read and commented on strangers’ work only to let something essential fall into the cracks as a result. So the only conclusion I can come to is this: if I don’t know you, I’m not going to be able to read your manuscript or answer complicated questions at length. Of course, I try to answer all my emails, but I often end up disappointing people by replying briefly on subjects that deserve more detailed scrutiny. I wish I could do better, but I hope you will understand if I don’t. And one more thing. Dear reader, the statistics I’ve read suggest to me that there’s a very good chance you are an extravert. I am not. You may not only like the thought of corresponding with strangers, but think it fun to meet with them as well. For me, that kind of experience is, well, un-fun. If I decline your friendly suggestion that we have lunch or dinner or coffee, please do not take it personally. I would probably decline a comparable offer from Bob Dylan or J. K. Rowling or Pope Francis, at least unless I had a friend to accompany me to lessen the social pressure. I know most of you think of introversion as a disease to be cured, but there’s no cure yet. Call me when one is developed — wait, strike that, write me. But don’t expect a response right away….